The Top Secret R34 Skyline Shouldn't Catch You Off Guard... But It Will! 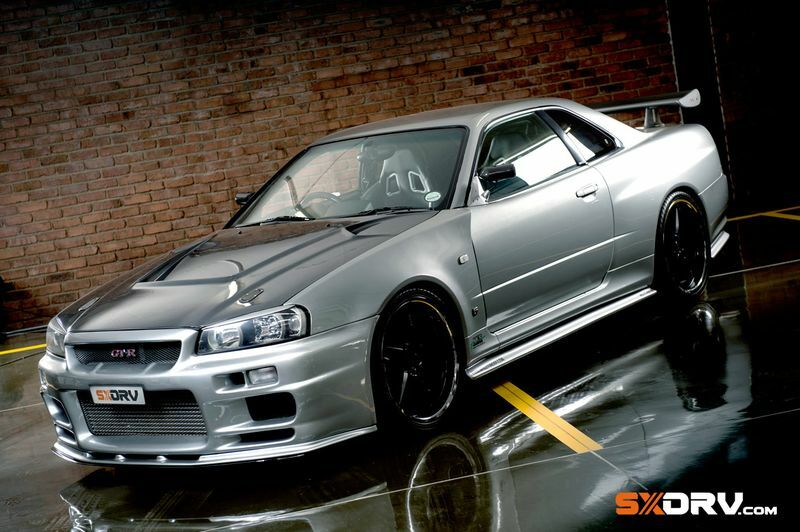 Home / Automotive / Cars / The Top Secret R34 Skyline Shouldn't Catch You Off Guard... But It Will! From Top Secret in Japan to the streets of Jo’burg, we introduce you to the bloodthirsty Top Secret Nissan Skyline GT-R V-Spec R34. Like most iconic Japanese Domestic Market (JDM) sports cars, this one needs no introduction. Fast forward nearly 20 years since it's introduction in 1999 and somehow this iconic monster still grabs the same tantalizing attention like most of today’s supercars. Construction was by the Japanese automobile tuner and part manufacturer, Top Secret Co., the company that was found by Japanese automotive engineer and driver Kazuhiko “Smokey” Nagata. Top Secret is mainly known for its body kits and performance engineering but is notorious for its illegal Wangan high speed runs, professional drifting, circuit and drag racing too. Perhaps, when you see how tightly this baby can carve up the tarmac at triple-digit speeds, you’ll realize that the Full Top Secret body kit was engineered to deliver an exhilarating driving experience while sporting it's 20” R.E.M. black mags. When you first lay eyes on this atomic bomb of a motor after popping the ultra light-weight full carbon hood, the first thing you'll notice is the upgraded, twin 1000 horsepower sushi rolls attached with red cone filters. Not to mention the 100mm HKS titanium exhaust system that makes a hugely enjoyable snap, crackle & pop as it releases CO2 into the atmosphere. It's so loud it even scared little children at our SXDrv Super Saturday car event held recently in Johannesburg. Like every car that comes from Top Secret, all aspects of this R34 were designed so it could go fast and stop even faster. When you step into the interior you’ll be pleasantly surprised to see how neat the original centre console and dash area are. The main event inside though are the two Ferrari Maranello seats that keep you – and your better half – snug when slicing through those curvy-corners, nevermind looking truly majestic when you see them through the windshield when parked. Almost humorous, this 1000bhp+ GT-R has custom Rockford-Fosgate sound in the trunk, you know, for when you're listening to your favourite Tibetan monks chanting. With this GT-R specifically, the thing that really impressed us the most is the fact that it still holds its cosmetic originality very well. The R34 GT-R is an icon that will go down in history as one of the best performance cars Japan has ever unleashed on the planet and, even though car customization is self-expression, we would think twice about pop-riveting some swollen hips to the side. It's really exciting for us to feature this awesome legend. It makes us smile knowing that there are people out there who share our passion and will invest millions to either restore or preserve these beauties. Their passion and love have really shown through in this project and we're sure it will continue for decades to come. Like kids before our birthdays, we got no sleep before this shoot. We were far too excited to feature the GT-R, not to mention the gorgeous Danelle Steenkamp – check out her shoot here. And, believe us, you will see more cars from Top Secret in the future. Maybe by then you'll have prepared yourself and won't soil your shorts. We'll even give you a little time to grow out of that whole stage. The gods of high octane know though, we haven't! Video: The Exhaust Is So Loud It Makes The Airbags Blow!! Video: A Nissan Skyline R34 Gt-r With A R35 Motor, Hells Yes! Video: 2017 Nissan Gt-r Review On The Road And Racetrack. Video: Watch This Previously Unreleased In-car Footage Of Paul Walker In 2012 Test Driving A 600 Horsepower Nissan Gt-r In Japan! Video: This 2,500hp Nissan Gt-r Eats Tarmac For Breakfast! Video: You Don't Want To Mess With This 2000hp+ Nissan Gt-r!